Life span of a battery is very much dependent upon how much it is used. Batteries wear out faster when used too much. Inverter utilizes the energy stored in batteries and supplies current to the electrical and electronic devices to keep them running during power cut. The more load or devices you use during power failure, more power will be sucked out of batteries and they will wear out faster. An inverter unit has 3 components: a charger, a battery and an inverter. The charger is connected to the power supply and it charges the battery when the electricity is coming from the utility. A poor quality charger can destroy the battery faster than anything else. Use good quality chargers to increase life of battery. Overcharging leads to corrosion of battery plates which eventually results in premature battery failure. If your battery is getting too hot, it is an indication that it is getting overcharged. Overcharging a rechargeable battery leads to its early than expected failure. Deep discharging is not good for the health of any rechargeable battery. For example deep-cycle batteries like a lead-acid batteries are designed to be regularly deeply discharged using most of its capacity. A battery looses its efficiency and capacity when it is subjected to deep discharge. READ ALSO: How to choose the right inverter & battery for your home? Poor maintenance is a major reason behind battery damage. 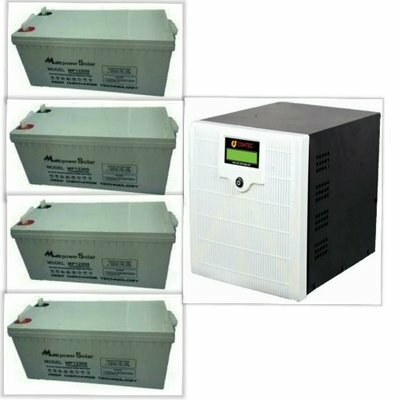 Rust, corrosion and dryness are biggest enemies of your inverter battery. 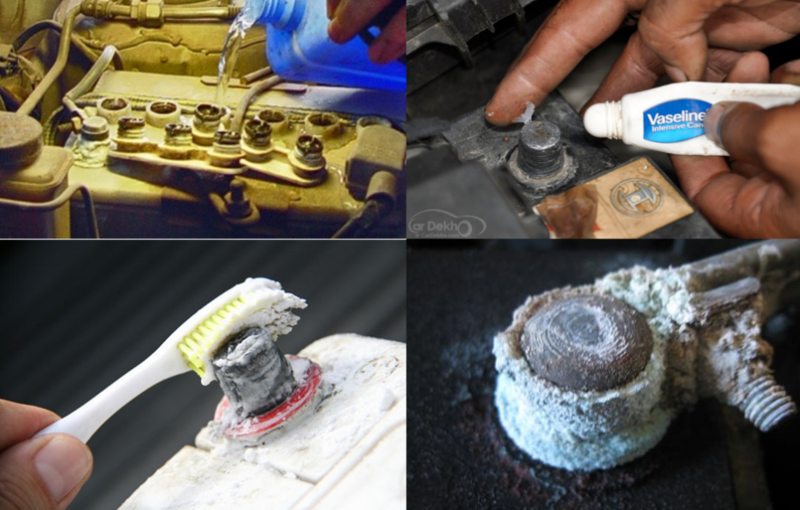 Rusting in terminals reduces the current flow to and from the battery. This restricted flow of current results in slow battery charging which ultimately reduces battery life. Batteries also require regular topping up with distilled water and cleaning. If top-up is not done than battery plates get dried. Dry batteries cannot be saved from failure. It is very important to inspect inverter batteries regularly for any damage and fault. Sometimes the electrolyte leaks through cracks developed in battery. Due to lack of electrolyte the batteries fail.